Kisgyón is a nice tourist base in the East Bakony. This area was inhabited since Stone era. Between 1913 and 1972 it was a coal-mine. The mine is closed, but the coal screener and the miner monument treasures the mine’s memory. The former miner flats became some motel and tourist accomodation. 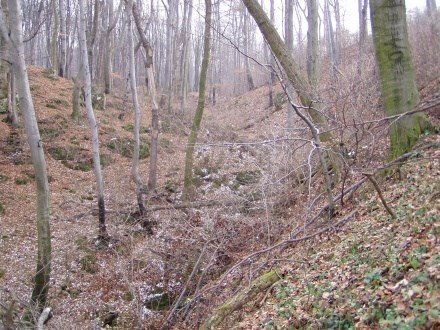 In the Kisgyón forest locate the “Tuzköves árok” (Firestone graben). In this area many petrifaction was found. 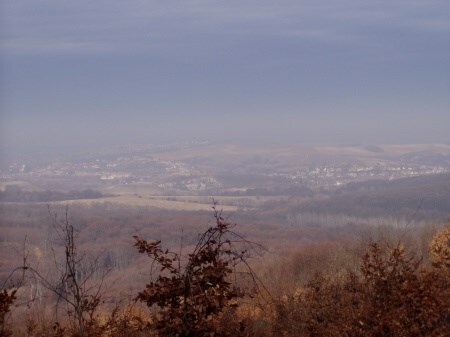 This area is the hungarian jurassic period richest site. 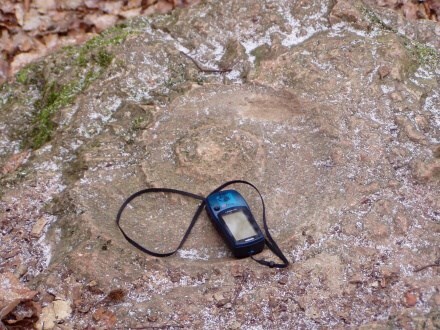 At the N 47° 17,280', E 018° 06,406' point you can find a big mollusc mould. If you arrive by car, you can find a parking place at N 47° 17,307', E018°06,601' point. This cache is a multi cache with 3 station. Go on the “K” (Blue) sign road. The first station is a coke bottle in a tree. You can find here the second station coordinates. The second station is coke bottle in the root of a punky trunk. You can find here the coordinates of the third station. The third station is a real geocache. 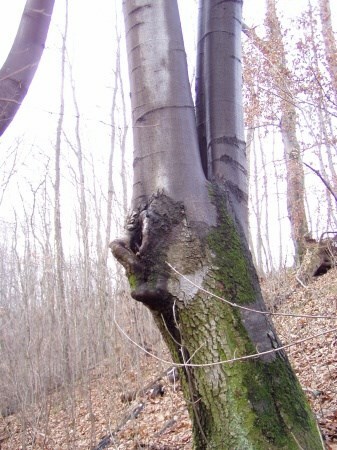 You can find it below a big trunk. In the cache you find the coordinates of a point (halfway to the parking place, with good panorama, and a half litre plastic bottle, this is the end-station of the hungarian Csikling-cache). Go back at the “P” (red) sign road and go on straigth. If you go along on the red road, you arrive back at the start point. 1: n unys yvger cynfgvp obggyr va gur gerr, 2. n unys yvger cynfgvp obggyr haqre gerr, 3. obk oruvaq gur gerr.